Confronted by disappointing election results, outgoing Prime Minister Binyamin Netanyahu inevitably announced that Israeli needs a government as broadly based as possible and he has embarked on the task of building one. With his Likud-Beitenu bloc in command of only 31 out of 120 Knesset seats, he must build a government from a large number of scrappy parties. But above all, the new landscape Netanyahu faces is dominated by newcomer Yair Lapid, a former journalist and broadcaster, an avowed centrist with no former political or administrative experience. The voter awarded his Future party, an unknown quantity, a brilliant 19 seats. Lapid has therefore strongly upstaged Labor’s Shelley Yacimovitch, who ran for election as alternative prime minister and ended up with only 15 seats. She now promises to lead a fighting opposition in the 19th Knesset elected Tuesday, Jan. 22. This pledge may not be her last word either. Lapid has been catapulted into position for determining whether Netanyahu commands a majority government or a bloc in deadlock with a left-of-center-plus-Arab bloc, aimed for by the Labor leader. The official election results to be published Thursday morning may break this deadlock one way or the other. Still to be counted are the “double envelopes” including the army ballots. The military turnout was 80 percent, much higher than the national figure of 66.6 percent of 5.6 eligible voters. 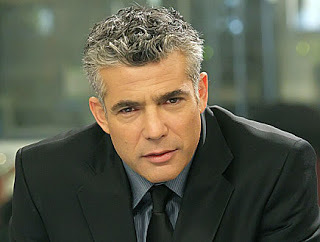 Lapid’s first comment indicated he was open to joining a Netanyahu government on certain terms – namely, policy changes. Netanyahu, whose combined Likud-Israel Beitenu alliance shed one-third of its parliamentary strength, may well opt for an initial deal with Lapid’s Future on the key issues of budget, security, peace talks, the social gap, national service for Yeshiva seminarists and perks for the middle class, to gain a 50-seat foundation for his new lineup. This foundation and an agreed set of guidelines would arm Netanyahu with a solid starting- point for horse-trading with additional partners for completing the coalition. Netanyahu’s alternative to this strategy is to call a new election in short order. He hinted that this was on the cards when he first saw his party’s letdown, but by now must realize that there was no guarantee another vote would offer him a better outcome than this one. The Future leader faces the enormous challenge of being jumped into high authority in the face of grim challenges with no experience in government or even parliament. He must at the same time whip his equally inexperienced faction into a functioning ruling party and choose which takes up ministerial posts for working alongside the vastly more experienced Likud ministers. Lapid’s failure to raise his fledging party to maturity and hold it together will shorten its life span and send it the way of so many nascent partisan groups in the past. Naftali Bennett’s Jewish Home, which would have been Netanyahu’s natural senior partner had the Israeli voter given him the same chance as Lapid instead of only 11 seats, will no doubt soon join the new government lineup. Like Lapid, he too is a tyro in government and politics. On the other hand, Netanyahu, the most experienced Israeli politician of his day, is responsible for innumerable missteps in almost every field in the last two years of his term in office – culminating in his bungled campaign tactics. But for the country, having to get used to new, unknown faces in politics, ready to usher in the next era in Israel’s history, may not be a bad thing. In the natural order of things, they may start the process of easing the old school out.